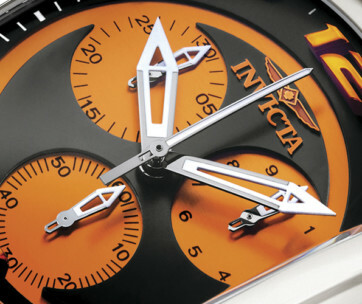 Elegant and masterfully-crafted timepieces never go out of style. Come hell or high water such timepieces endure. Such timepieces are always a joy to have around one’s wrists whether it is for matching your classic corporate attire or your everyday casual getup. 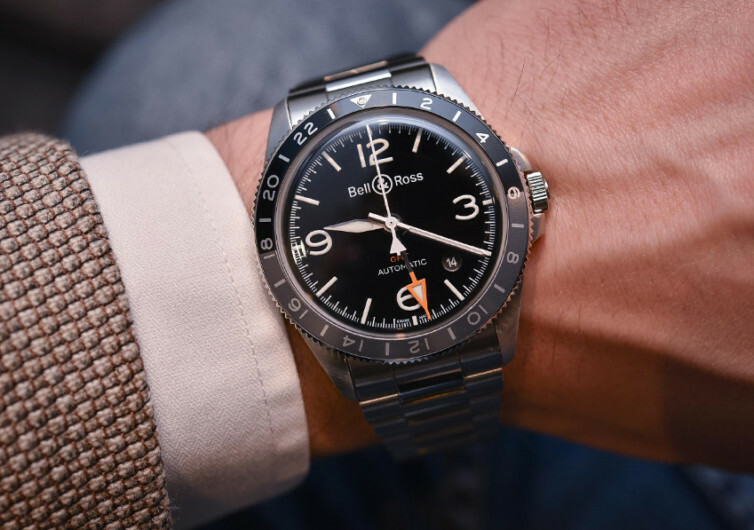 The Bell & Ross’ Vintage BR V2-93 GMT 24H speaks of such timeless elegance that will never fail you in boardrooms, office cubicles, party scenes, and even the great outdoors. Fully automatic mechanical wristwatches are preferred to battery-run Quartz movements as they epitomize the inviolable bond between man and his timepiece. 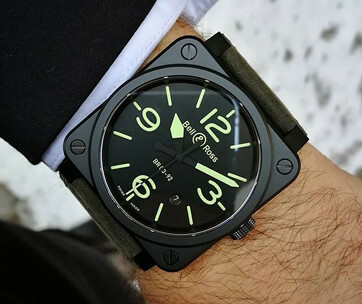 The BR V2-93 comes with a Calibre BR-CAL 303 mechanical movement, communicating with the wrist as it smoothly sweeps its clock hands around its black dial with Superluminova-coated indices and numerals. The Superluminova-filled skeletonized metallic clock hands also add to a beautiful contrast to the sea of black. Enveloping the richly-elegant black dial is a 41-millimeter stainless steel casing that has been meticulously satin-polished to give it a remarkable glint that speaks of its luxurious craftsmanship. 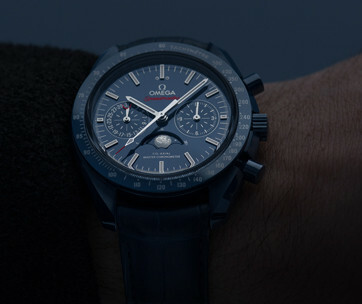 The 24-hour scale surrounding the ultra-curved sapphire crystal is bidirectional complete with an anodized aluminum disc halved into black and grey, supposedly to convey night and day. The crown has been screwed down while the buttons have a soft tactile feel to them once pressed. The satin-polished stainless steel bracelet completes the BR-V2, giving it a sparkle that is continuous with the case and dial. If one were to choose the other variant, one can be graced with the different tactile experience of black rubber on one’s wrist. 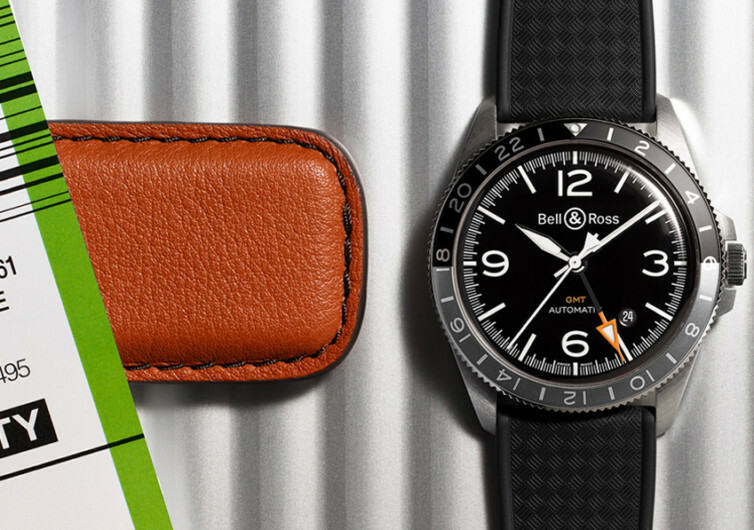 Both variants, nevertheless, come with a satin-polished stainless steel pin designed primarily to hold the strap. 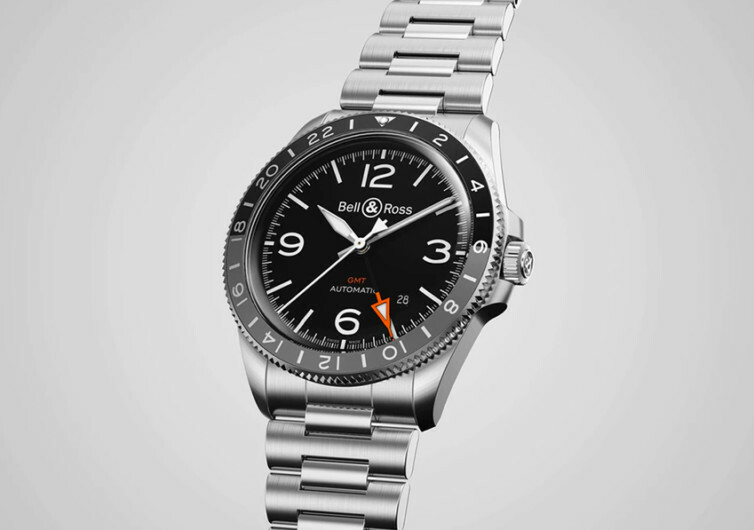 The Bell & Ross BR V2-93 GMT 24H is a timepiece you’ll never get tired of wearing. It’s a timeless classic made even more remarkable by its thoughtful design.